Lawrence Taylor is considered to be one of the greatest football players of all time. In 1986, he led the league in sacks and was named the NFL MVP. Among his many achievements, the 3-time Defensive Player of the Year is a 2-time Super Bowl Champion and 10-time Pro Bowler. He was named to the NFL's 75th Anniversary Team, and was inducted into the Hall of Fame in 1999. 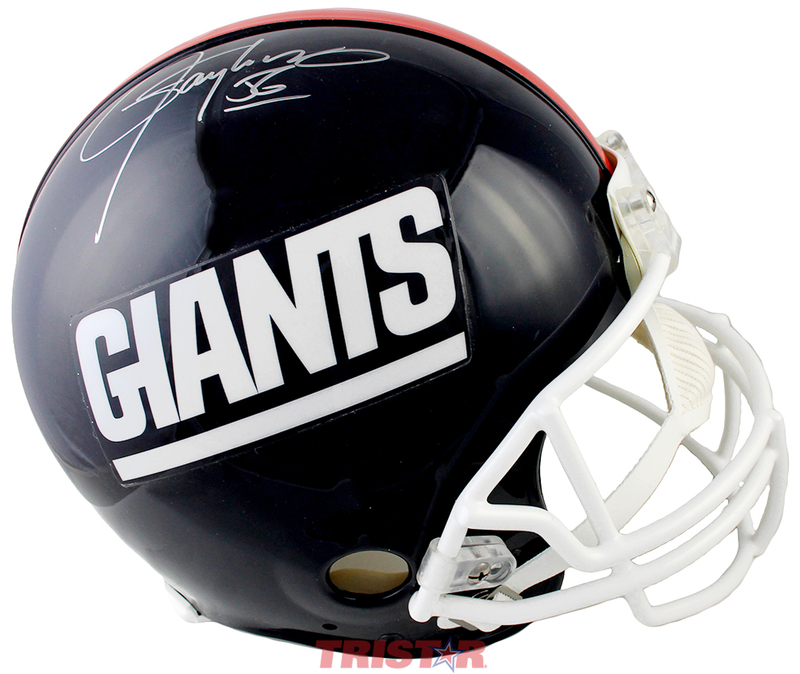 This New York Giants 1986 throwback full-size authentic ProLine helmet has been hand signed by Lawrence Taylor. Each autograph is guaranteed authentic, and includes an individually numbered, tamper-evident TRISTAR Authentic hologram.